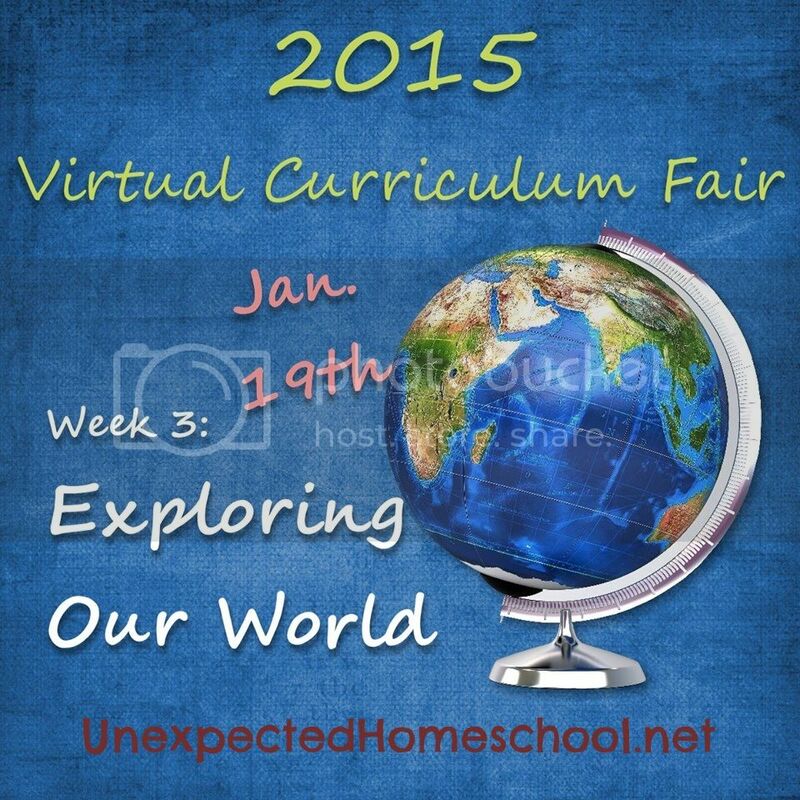 Welcome to the third week of the 2015 Virtual Curriculum Fair hosted by Susan @ Homeschooling Hearts and Minds and Stacie @ Super Mommy to the Rescue. This week the topic is Exploring Our World: Social Studies and more Science. 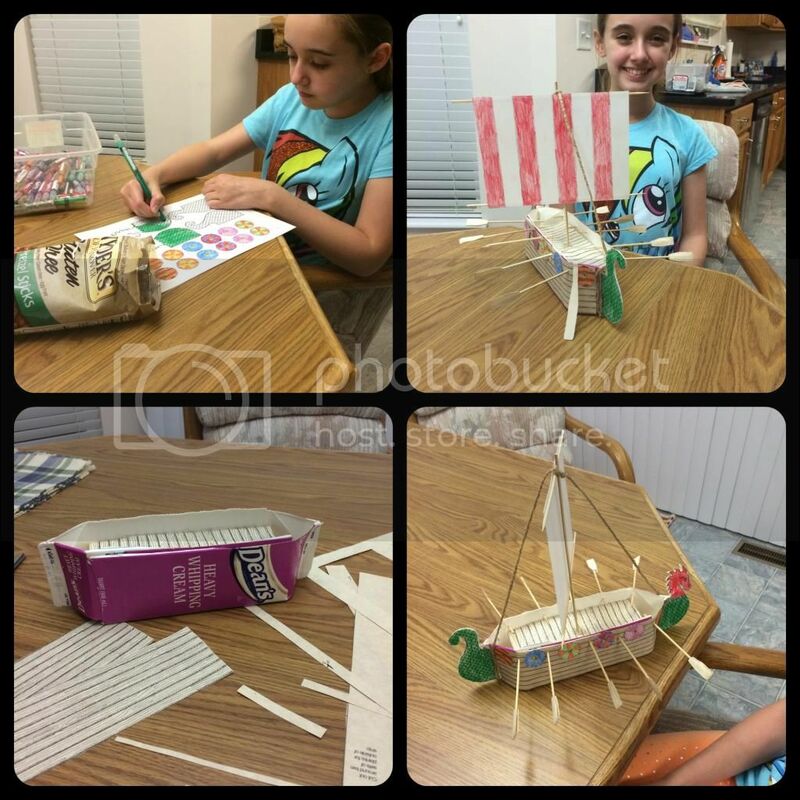 For our homeschool, this topics relates directly to our history lessons. Having followed the classical education methods from the Well Trained Mind for 6th grade, I was all set to do the same in 7th grade. Amber had somewhat been happy with our study of Ancient history in 6th grade, even if it seemed a bit boring a rigid. She preferred it to text books and their associated workbooks. However, towards the end of 6th grade Amber started having a lot more trouble with her chronic illness which equated to trouble making sense of her history readings. 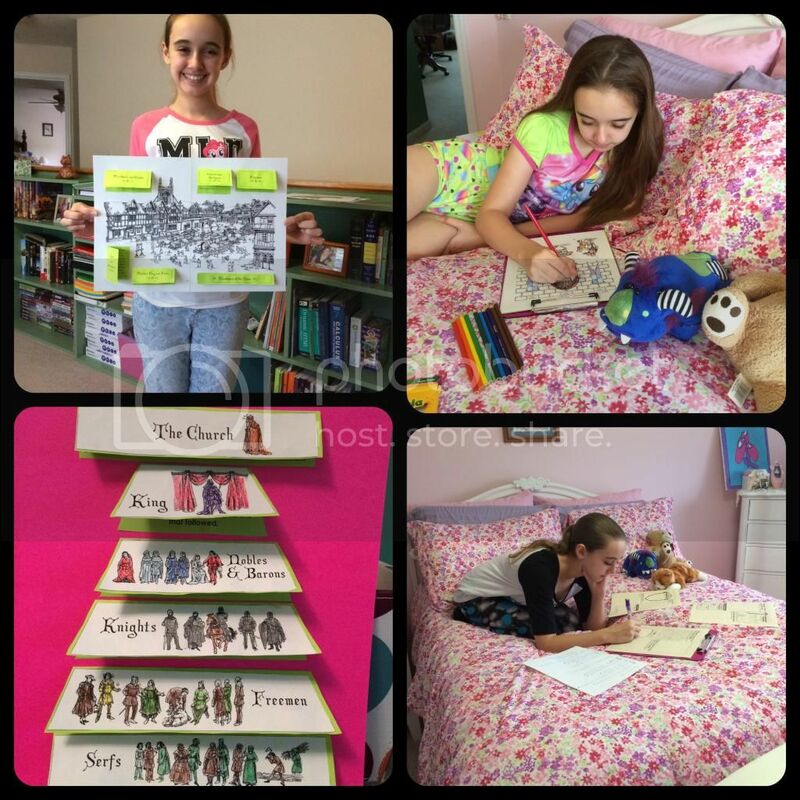 We won't even discuss how hard the writing portion of history, as set forth in the Classical Education model, was for Amber during some of her sick days. Unfortunately, we don't have the luxury of skipping school on Amber's sick days as they are frequent and she is symptomatic every single day. I needed to find a way to adapt our subjects to suit Amber's fluctuating abilities. After scouring blogs for various styles of education and talking with Amber about them, we decided that more hands on learning was needed for her especially difficult days. I set about finding ways to become more project based in our learning. In addition to making history more do-able for Amber, we also were faced with needing to reduce the number of subjects she had to complete each week. There just isn't time in the day for her to sleep, eat, complete the myriad of school lessons, and have any down time. We decided to remove writing and vocabulary as individual subjects and work with those topics across the subjects with history taking the brunt of the load. I spent months, literally, putting together resources to create a medieval and renaissance history course for 7th grade that correlated with our literature study too. I pulled reading resources from many locations, but the most used is Heritage History. I found project ideas in the Project Passport products by Homeschool In The Woods. I found major topic points and some discussion ideas in History Odyssey. We have been using Map Trek for years to include geography in our history, and planned to continue this year too. I scoured Netflix, Amazon Instant Video, and my favorite blogs for video ideas. It took forever, but finally we had history lessons that allowed for sick days and more coherent times. Heritage History provides for us the reliable and time tested history reading that we need to study Medieval and Renaissance times. There are also a few other extras included, but mostly we are interested in the books. The two Project Passport products I purchased have brief history readings, a plethora of project ideas, Amber's favorite timeline ever, and newspaper writing assignments. History Odyssey, besides giving me the backbone schedule, also turned out to be a great source for additional writing and outlining assignments. I could not have been happier with all the resources. But if you are a curriculum junkie like me, you keep looking anyway. What I found after 7th grade had already started was something I had heard of for years, but had not cared enough to investigate. Silly me. It was Tapestry of Grace. Do you know what I spent months doing? I recreated, with shocking similarity, Tapestry of Grace. I kid you not. Similar reading assignments, project ideas, writing assignments, and even their Map Aids are done by the people who make Map Trek. It was all to ridiculous. I had a little moment of hysteria when I realized this all. History projects and writing assignments. After a week of waffling, I went ahead and purchased the Tapestry of Grace year plan correlating to our current studies (year 2). I know I had my own plans already created, but Tapestry of Grace has so much more than I had ready. It has discussion points for various age levels, additional readings, a lot more writing help than I could manage to put together, and even has projects and discussion questions for the items we planned to study in literature. Then on the TOG Loom there are links to websites and other alternative ways to encourage learning. We've taken advantage of many of those links already. We've had great success this year using my plans along with a little structure from Tapestry of Grace. Amber does not do every possible assignment, project, or multimedia option I've located for every topic, however we do have the option to switch gears and use various modes of learning depending on her abilities on any given day. We already plan to use Tapestry of Grace for the foreseeable future, and thus save me from the months of research. If you'd like to see a more detailed list of our history resources, check out my complete 7th Grade Curricula Page. Come back next week to see the beauty in our homeschool. Please check out how the other members of the 2015 Virtual Curriculum Fair are Exploring Our World with their children. If you'd like to join the fair this week, use the linky below.